RP: Also, I wet the bed. Is this TMI? 5 Responses to RP: Also, I wet the bed. Is this TMI? Ugh… “lead poisoning”… Urk! Ulcer! 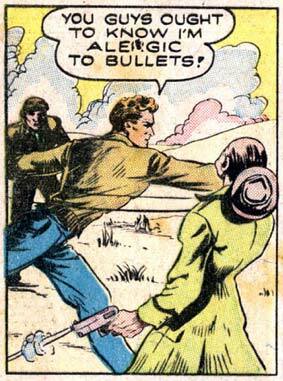 Hmmm…wonder what would happen if this guy shook hands with Bulletman? So, if someone shoots him, does he get a rash, or does he swell up?